The header pic, is a pic from about 10 years ago, maybe more an 10 years, of my first swimsuit shoot in Atlantic City. I thought I was DOOOOOOING IT! lol Thank goodness that was the beginning and there was a lot of improvement to be had! What initially drew you in to become a model? I have a cousin that was a model when I was a kid. I remember looking at her pictures in her portfolio and some of her tear sheets from the ads and print work that she had done and thought to myself, I want to do that. The pretty, perfect, and polished look that she portrayed was what initially sparked my interest in modeling. I think I was around 9 years old when I realized a model is what I wanted to be. Well, the number one challenge that I faced was getting started. 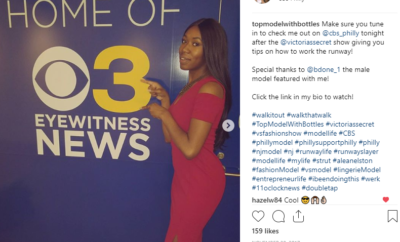 I didn’t know how or where to start, who could point me in the right direction, how to get work, what did I need to be a model, what was a scam and what was worth pursuing? And so forth. I did a lot of researching, back when I was starting there were a few ‘urban’ models who had websites that displayed their portfolios and resumes and also gave a lot of tips on how they got started (before blogging was popular) so I took some of their advice from their sites as well as other modeling advice sites and started out on pursing my career. A lot of what I have come to learn has been from trial and error and research to figure out what path would be the best path for me to try. Through my research, I learned that pictures are the main thing that will get you booked and without them you won’t be taken seriously as a model. SO I set out to do a photo shoot. I found a few social networking sites dedicated to models and photographers and I put a few pictures of myself on there that opened myself as looking to shoot in order to build my portfolio and I had a number of photographers respond willing to shoot me and a few even for free! I decided to shoot with one photographer (I paid him) and ended up learning a TON from my initial shoot and used those pictures to book more shoots in order to perfect my posing and my port, and thus I began to seek out work and the bookings started to come. 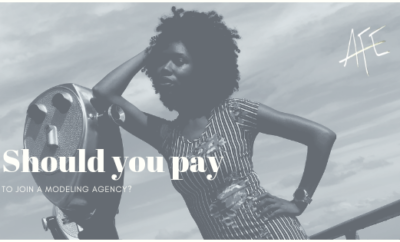 How did you get your first booking? My first booking was fashion show that I was referred to do by the same photographer that I did my very first shoot with. It was for a local designer, I can’t remember her name, but I was booked for that show based on the pictures he showed her that he shot of me. I didn’t even know how to walk the runway I was a PURE newbie, Lol But I booked it! What has been your biggest lesson as a model? 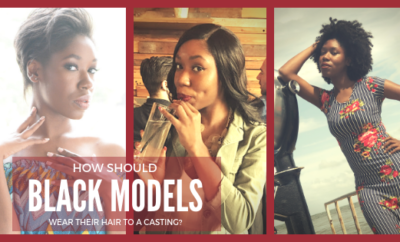 Next Story → Before you start (or restart) your modeling career, you NEED to ask yourself this first!